Although not all areas in Singapore allow the use of tin cans on wedding cars because they create loud and noisy sound, this fun idea is still one of the easy ways to decorate the wedding cars. You can easily tie decorated tin cans to the bumper of the cars to draw attention to the newly wed couples as their getaway wedding car leaves. The florist in Singapore has wonderful ideas for the tin cans. In heart shape, round shape, or in the usual balloon shape, balloons are one of the easiest and economical items to use to decorate the wedding car. 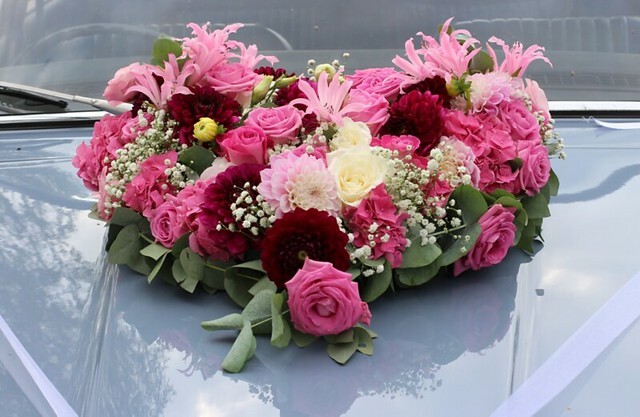 The online florist can help you customize your balloons for the car. There are balloons with designs and prints, and they are available in wide variety of colors. Pompoms are made from plastic materials and they are safe to use on the vehicle. They are charming and adorable decorative pieces that you can add to the laces or ribbons or to organza fabrics. Pompoms are also available in different colors and designs, giving you the choice to match your wedding car decorations to the wedding theme or motif. You can also use your own lipstick and chalk to write and scribble fun messages or markings on the windows. These items are very cheap and affordable. They are easy to remove as well. You can even draw hearts and flowers to add fun to the wedding car decorations . These simple ideas are great for classic and traditional wedding styles and even for casual and modern style of wedding. 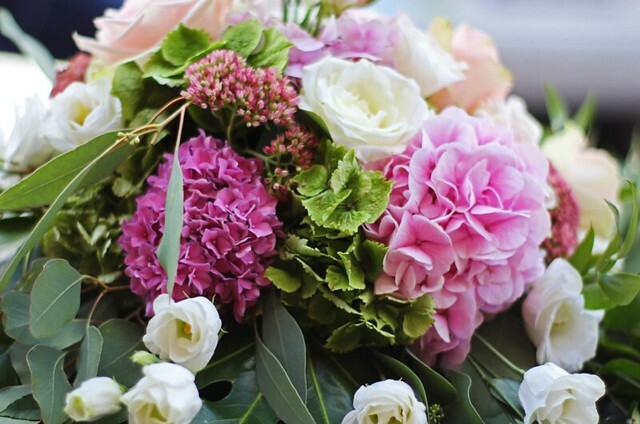 Your wedding florist will assist you with these ideas when you opt for special packages of Flower Delivery Singapore on your wedding day.